The Nordstrom Anniversary sales serves up some pretty great finds (see my picks here). 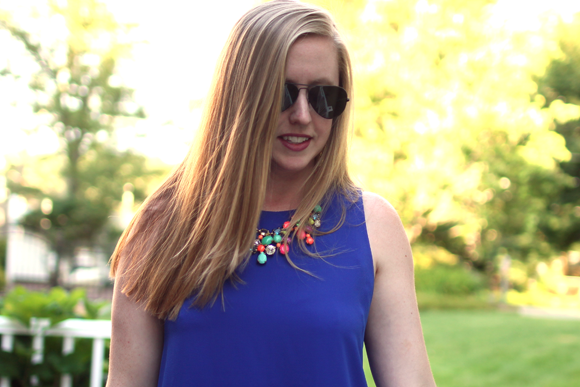 This top is another one of my favorites, for both the great price point and the color. I'm always a fan of tunic style tops -- for both length + loose fit -- and this piece certainly fits the bill. It was quick to sell out so be sure to check out some other great tunic options I've linked up below. Thanks for stopping by. 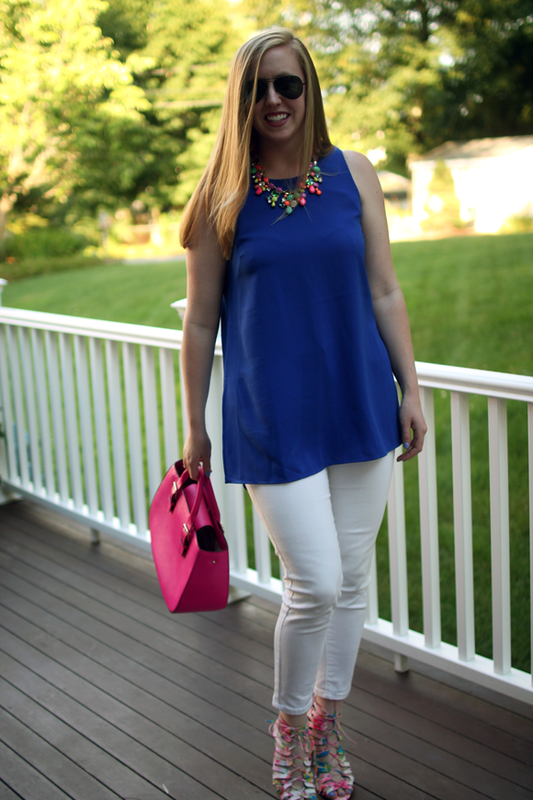 I love that you added bright contrasting accessories to this look! 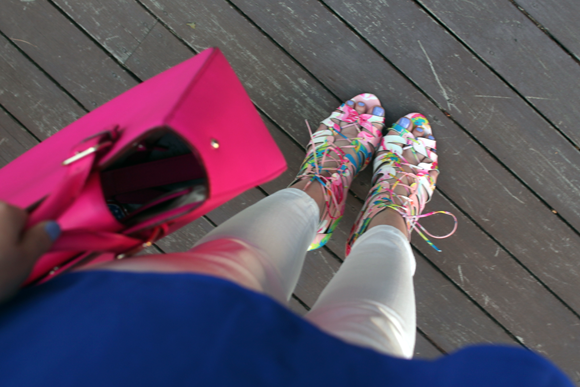 Both the necklace & shoes are super fun!